Hanukkah is a Jewish celebration that is held around the world for eight days. 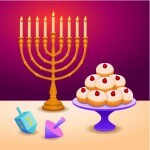 The history of Hanukkah dates back to 165 BC. Arguably Hanukkah is one of the most popular Jewish celebrations, Yom Kippur, Passover, and Rosh Hashanah also topping the list. 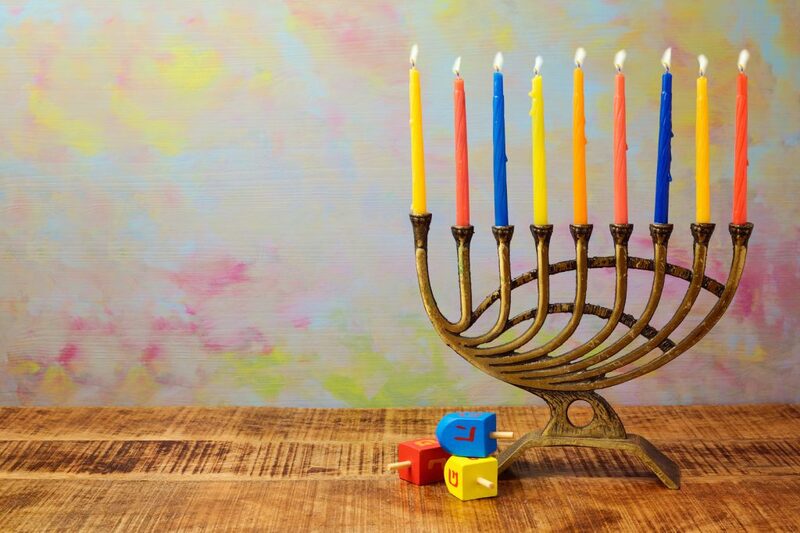 As mentioned, the History of Hanukkah dates back to 165 BC. This was a time when the Greeks would not allow the Jewish people to worship their faith. Many people were killed fighting for what they believed in. Things quickly became out of hand and the Jewish people revolted against the Greeks. After years of fighting, the Jewish people finally prevailed. They were able to rebuild the Holy Temple that was ruined during the fighting. Many of the Jewish historical items were also ruined, or stolen during the war. While spending time in the Temple during the end of fighting, Jewish soldiers came across a Menorah. A Menorah is a sacred item of Jewish faith. It is like a Candelabra. The Menorah has eight candlesticks. On this historical night, soldiers were worried as they only had enough oil for one night. Once lit, some how the oil lasted for a period of eight days. This was considered a sign from a higher power, a miracle so to speak. From then on the celebration would place for eight days and would be called Hanukkah. 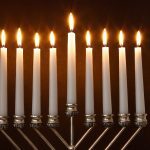 There are a few other historical signs and items associated with Hanukkah. The dreidel, for example, is now more known as a toy that Jewish children play with. However the dreidel has significant historic tradition. In the days that Jewish people would be reading and honoring the Torah, in order to avoid detection from the Greek often they would pretend to be playing a game by spinning their dreidels. They spin on a point and they would color the box shape above the point with colorful symbols. Today, dreidels are given to Jewish children, both for fun and also for the historical lesson. 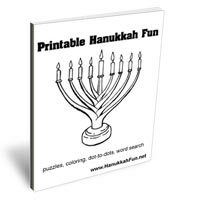 Children will often come up with interesting games to play with their dreidels. Who can spin their dreidel the longest? or Where will the dreidel point when it stops spinning? Hopefully you now have a better understanding of the History of Hanukkah. While there are many more historical aspects that one could likely write a book on, we have captured the important factors here. If you are celebrating this beautiful time, we wish you a Happy Hanukkah.